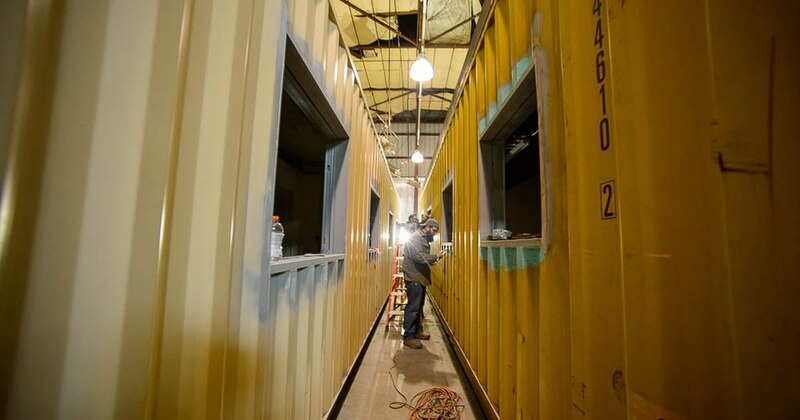 Shipping Containers Turned Into Affordable Apartment Building? Inside a chilly warehouse on Salt Lake City’s west side, work is underway on what might be called the bleeding edge of less-conventional affordable housing. Owner Rod Newman and his company Eco Box Fabricators are running a housing laboratory, aimed at conquering the challenges of building a multistory apartment complex out of shipping containers, those steel boxes used to carry goods worldwide. And after many months of work, the longtime Utah real estate executive believes Eco Box is ready. Newman said he submitted a proposal Friday to build an 83-unit apartment tower out of modified containers at 543 S. 500 West, in a project to be called Box 500 Apartments. At six stories, the residential building would be among the tallest constructed in North America or Europe using the metal boxes. Yet nearly 18 months after first approaching the city about the project, Eco Box remains months behind schedule and nearly $443,000 over budget amid concerns at City Hall over fire and earthquake safety, parking and whether the project will even yield affordable homes. Newman said while he understands the city’s caution, he’s unsure how approval will go from this point forward. Officials from several Salt Lake City departments — housing and neighborhood development, building inspection, engineering and planning — have all reportedly been involved in initial review of the Box 500 project. And given the promise of Newman’s idea and intense citywide demand for affordable housing, “we’re excited and we want it to work,” said Matthew Rojas, spokesman for Mayor Jackie Biskupski. But the city cannot overlook safety issues, particularly concerns over meeting building-code protections in case of a fire, Rojas said. “That’s one of those things we do not mess around with,” he said.